The feast of the seven fishes. An Italian tradition. 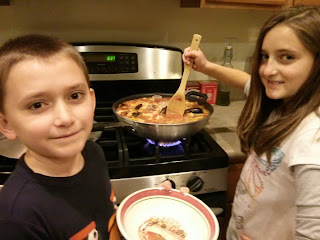 Kim's version was cioppino. The bambini worked her magic today, whipping up an invariable feast!!! Scallops (Kim's favorites! ), calamari (yes, squid! It's the real chicken of the sea! ), mussles (Kim and I farmed these from the jettis in Jersey), clams (our favorite order at Stahley's bar in Allentown, PA - $2.95/dozen), shrimp, tilapia and cod. 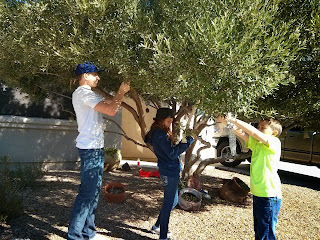 Cody, such a big helper and the glue to our family, applies the reindeer tracks...always amazes Antonio!! Powdered sugar! Cody made the stencil out of a manila folder! 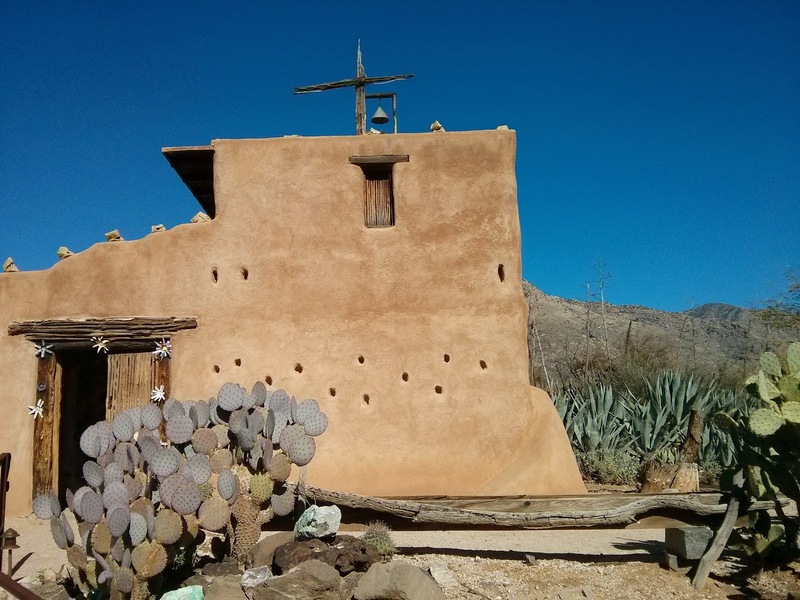 DeGrazia chapel. North on Swan from Skyline. Kim's photo was inshrined their perpetually on Sunday. They came across her blog. 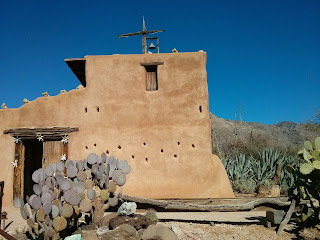 Learned of her love of the DeGrazia gallery and his works and her talent for art....Lisa, the gallery manager asked me to bring Kim's photo for their altar. I had placed her there once before, about two years ago. Lisa told me that hey have to collect items frequently, as there are so many. They bury them there on the grounds. Kim would have been pleased. But now, she is there forever!!!! 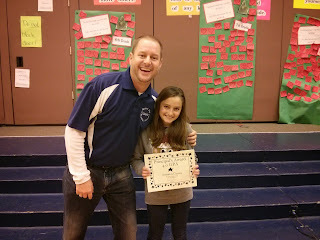 Autumn...at her awards ceremony...4.0 Principal's award!! With Micah Mortensen, Desert Sky Middle School's principal. He takes such good care of her and his students. She also won a citinzenship award and techonolgy award!! 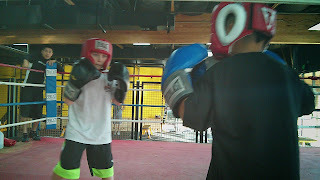 Tonio...his fourth sparring match...he's doing well. Such a joy to watch him work in the ring! Wishing you and your family a blessed and very Merry Christmas!!! Hope you all had a great Christmas! Loved all the photos- especially of Autumn and Micah. How wonderful to earn so many top notch awards! 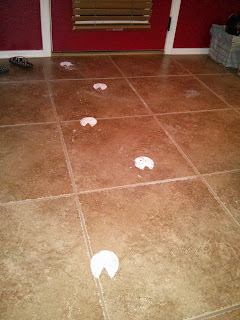 Also took a mental note to try powdered sugar hooves when Leena is older. :) good job Cody!